​ Have a look at our latest brochure. Read it here or print to go. Make a copy for someone you know. And come see us if we can help! previous fundraisers like "Party for Parkinson's" - our first two events. Picture gallery under the Special Events tab! Exercise is vitally important and therapeutic for individuals with PD. We are focused on offering a variety of affordable exercise programs for our members. The newest exercise class designed specifically for the PD community is "PWR!" (Parkinson's Wellness Recovery). We offer three "PWR!" classes each week: Tuesdays and Thursdays at the Wellness Center at MAC, Inc. from 11:00 a.m. to Noon; and a more challenging session called "PWR Plus" on Wednesdays from Noon to 1:00 p.m. (Plus has more floor work with mats including practicing techniques for getting up after a fall). There is a drop-in fee of $3 per person for each session. Caregivers invited to participate Tuesdays and Thursdays. Wednesday session does not currently have room for caregivers but we're working to change that. Want more exercise? ﻿Here's another way to have fun wh﻿ile you exercise body and brain...! Wednesdays and Sundays: 6:00 p.m. to 8:00 p.m.
Public "Drop-in" fee is $5 per person; $3 for age 12 or younger. Located﻿ inside Crown Sports Center just so﻿uth of Fruitland, our Club has six Butterfly Club level tables and a Robo-Pong 2050 robot (pictures under the Programs & Activities tab). It's fun, it's competitive if you want it to be, and it's great exercise for both the body and the brain. (Read THIS to see why table tennis is one of the best forms of exercise for individuals with PD). The general public is welcomed to play for a "drop-in" fee of $5 per day payable to the Lower Shore Parkinson Group, a 501(c)(3) tax-exempt non-profit corporation. See details on the Club's web site. 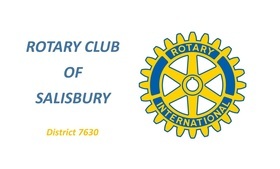 This project made possible by a generous district grant from the Rotary Club of Salisbury, Maryland and Rotary District 7630. Collaborating with other support groups in the Delmarva Parkinson's Alliance, along with nearby universities and health care professionals in pursuit of shared objectives. *Learn about a new national study using the Internet to provide care by specialists directly into an individual's home. You can participate! * Read the article about availability of free telemedicine assessments by Dr. Ray Dorsey, Neurologist and Parkinson's disease specialist in collaboration with the Caregiver's Resource Center at MAC, Inc.
Find information about these initiatives under the Programs & Activities tab. ​Please use the yellow DONATE button next to our Mission Statement above if you wish to help financially support our efforts in the community, to honor a family member or friend, or in remembrance of a loved one. It will take you to a Pay Pal page where you may also use a credit card. You may also mail a check to Lower Shore Parkinson's Support Group, Inc. at 909 Progress Circle, Salisbury, MD 21804. Thank you for your gift.